I tried 78 lbs and my left arm gave up. Sheesh! More time, practice and accessory exercises are gonna have to be done in order to get stronger on my overhead press. 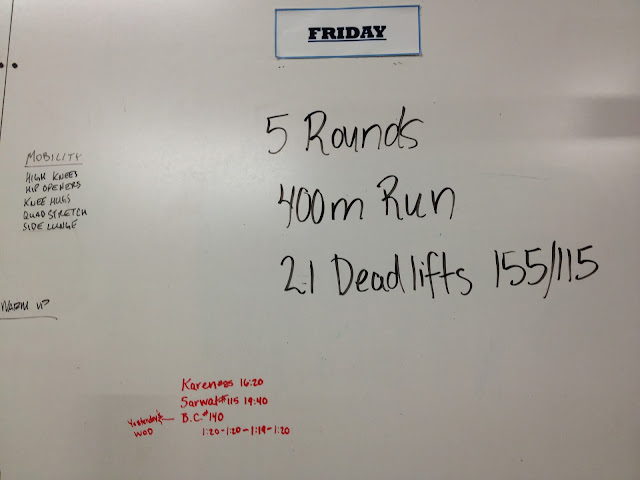 Then row 400M and rest 1 minute between rounds for 4 rounds. The goal is to sprint on the rowing. I got between 1:39-1:38 on each round so I was consistent! 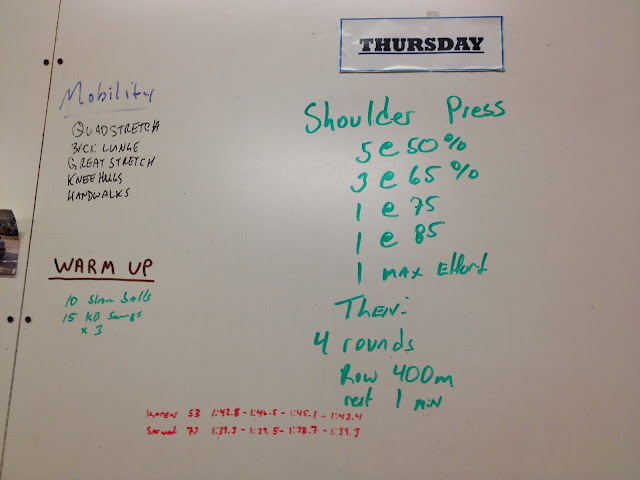 I tried 85 lbs but only eked out 3 good reps.
Dead hang pull-ups 6, 6, 4, 4 with a 1" band to assist (10-15 lb assist). My goal is to do 40 pull-ups per week so I have to complete 20 by Sunday. I did 105 reps at 115 lbs! That's about 50% of my 1 rep max on the deadlift. My lower back was sore midway through the workout but I kept going and foam rolled afterwards. So far, my back still feels good!